Holland America Line (HAL) debuted its 2nd “Countdown to Koningsdam” video on company's website with details about the inaugural season of the ship in Europe and Caribbean itineraries. The video series shares product and construction updates as anticipation builds for ms Koningsdam delivery in April 2016. Hosted by Jonathan Rogers, Koningsdam’s inaugural cruise director, the second video, “Countdown to Koningsdam Episode 2,” features Holland America Line’s Vice President Deployment and Tour Marketing Linda Springmann talking about the ship’s inaugural year itineraries. Springmann details Koningsdam’s cruises in the Mediterranean, northern Europe and Caribbean, offering itinerary highlights and fun facts about the ship’s maiden sailing season. 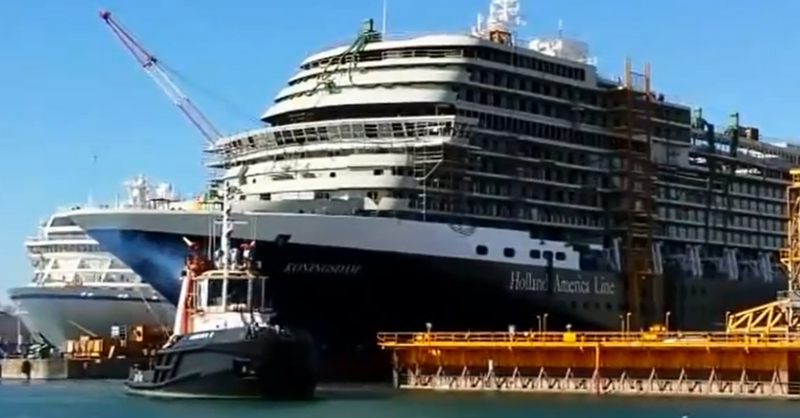 Each “Countdown to Koningsdam” video features one of the ship’s officers or a Holland America Line executive who shares ongoing developments onboard the line’s newest vessel, currently being built at Fincantieri’s Marghera shipyard in Italy. Koningsdam sets sail on its Premier Voyage April 8, 2016. Holland America Line’s fleet of 13 ships offers more than 500 cruises to more than 400 ports in 98 countries, territories or dependencies around the world. Copyright © 2013 - 2016 www.shipcruises.org. Powered by Blogger.